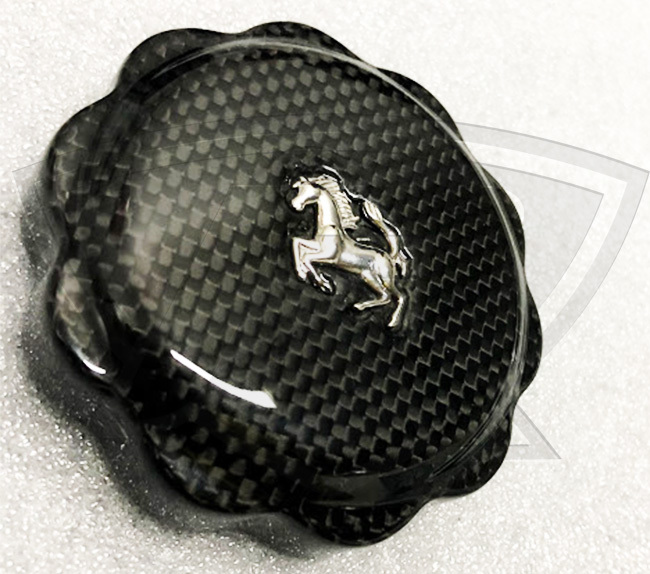 This carbon fiber oil cap cover was made to cover the metallic one currently sitting in your engine bay. 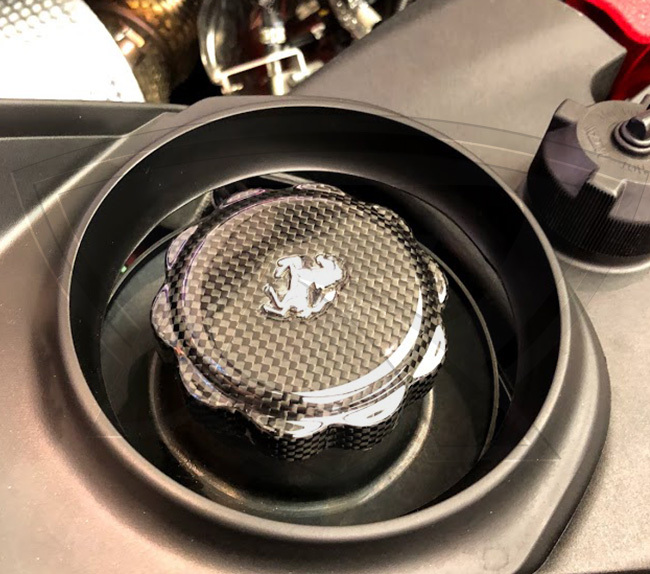 We've made this inexpensive part to complete your carbon fiber engine bay. 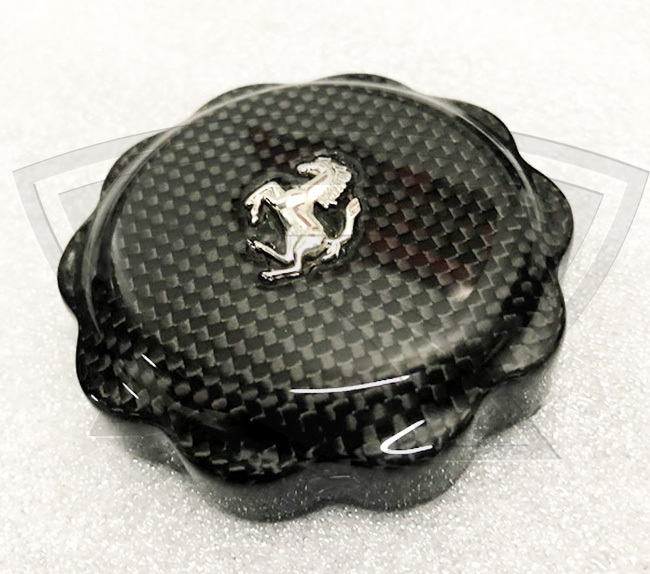 This Carbon Fiber Oil Cap is sold with the OEM Ferrari cavallino p/n 69572200. This installation is easy and non complicated. Sand off the back of the part, apply some RTV silicone in the back, and secure it with paint tape. Let it dry for about 3to 5 hours then simply remove the tape and that's it! 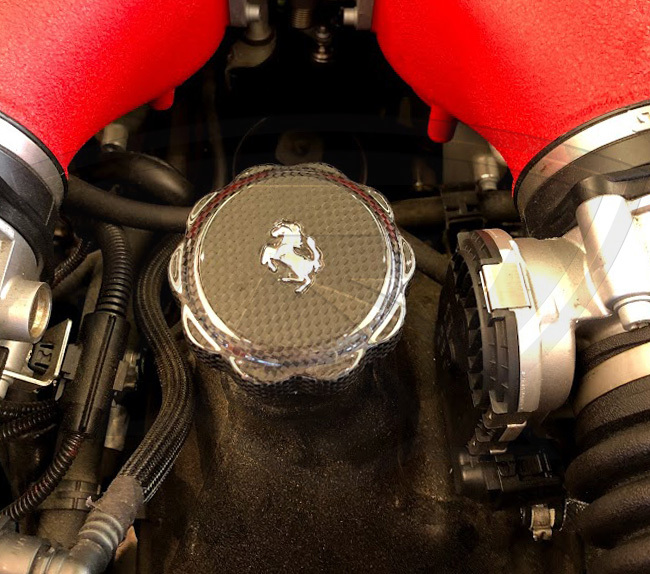 With an impeccable finish this oil cap cover will be matching your existing OEM carbon fiber parts, and they are made with the exact same quality carbon fiber and weave as used by Ferrari, which will allow you to keep the OEM look on your Ferrari.